Riding a Segway is an exhilarating experience. With some expert training, you’ll pick up the skills quickly and enjoy an amazing adventure. You’ll have the opportunity to ride on off-road trails and join in some hilarious Segway games. We have no doubt that this adventure will bring a smile to your face and build a great sense of team. 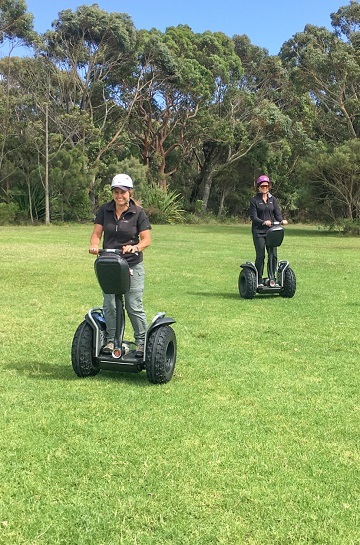 Segway Adventures are a truly unique and accessible way to get out and enjoy the outdoors. Segway Adventures from The Tops on Vimeo.